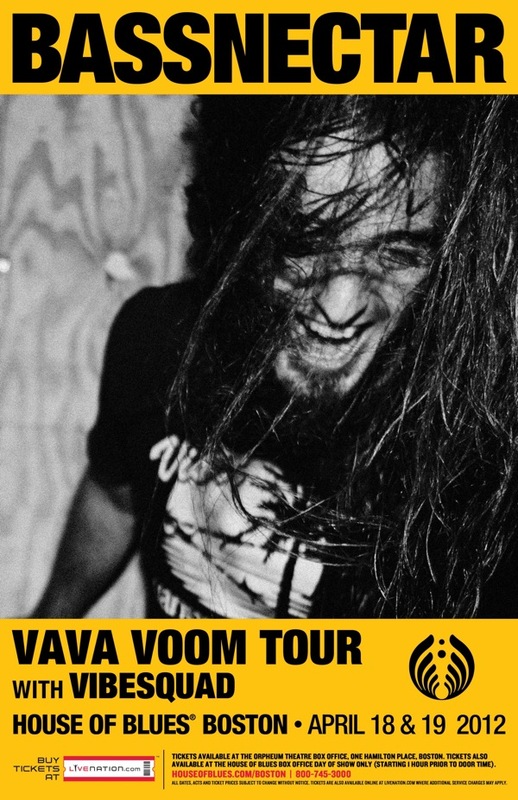 The Bassnectar crew will be bringing the VAVA VOOM TOUR 2012 to Boston, MA at The House of Blues on Thursday, April 19th, 2012. This is a 18+ Age Limit show. THIS SHOW IS SOLD OUT – THANK YOU BOSTON! Sealed water bottles and empty CamelBaks are permitted. Non-professional cameras are permitted. Backpacks and large bags not allowed. Totems not allowed.